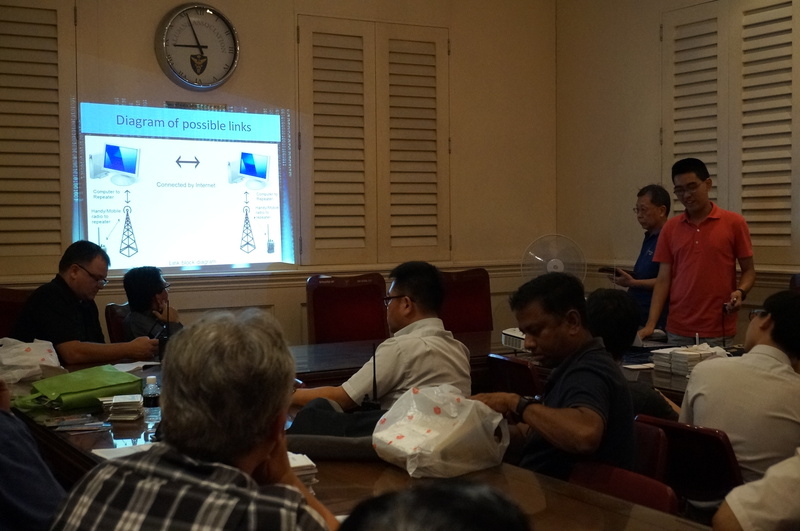 This month’s meeting was held as usual at the Medical Alumni. There was a Council Meeting at 630 pm, and therefore all the council members were at the conference room before any members arrived. The meeting commenced at 810 pm. There were quite a few visitors this month, some not new. Kevin, who works in the aerospace industry. James Rivett-Carmac, a software engineer who is interested in radios in space. 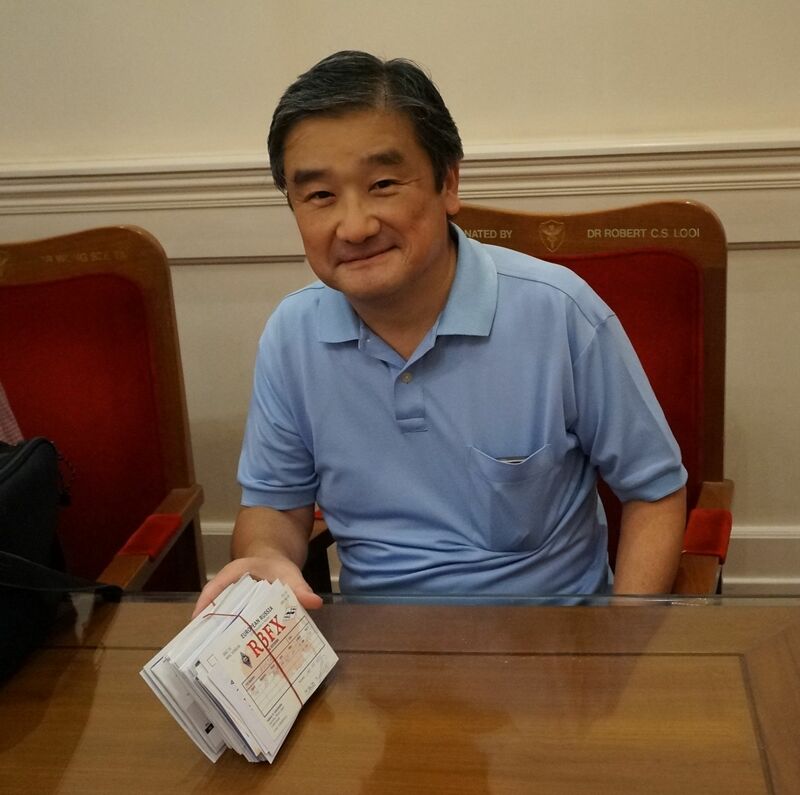 Takashi 9V1DR with his QSL cards just received. Takashi thanked the society and friends for the friendship and said that he would be leaving Singapore soon, on posting to Taiwan. 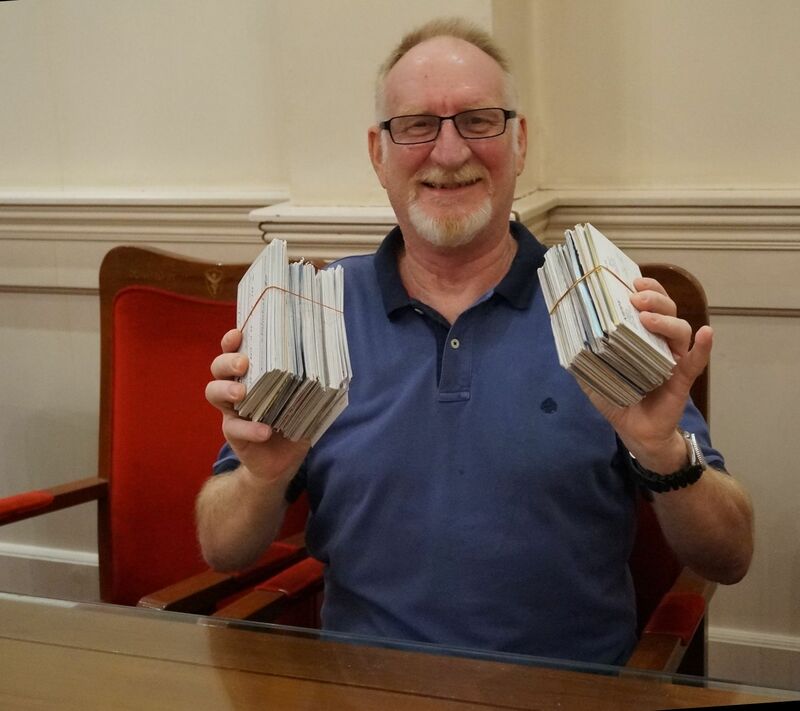 John 9V1VV and his QSLs. John works mainly in CW. 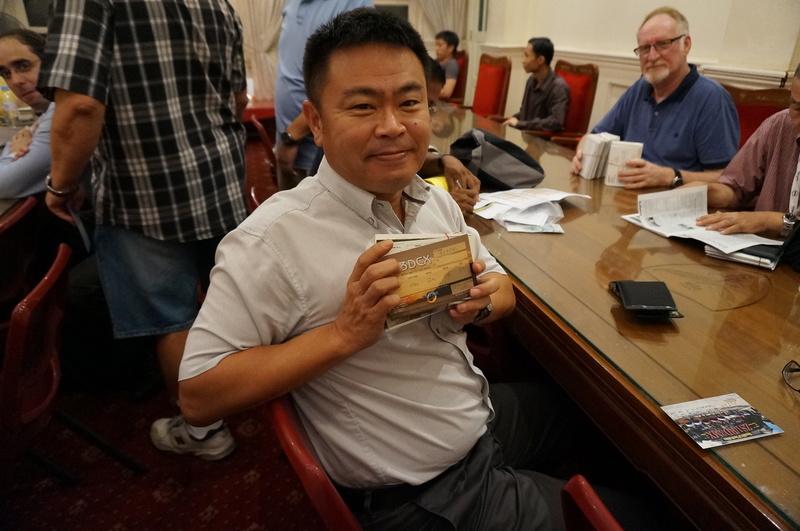 Takata-san 9V1JA, happy with the newly arrived QSL cards. 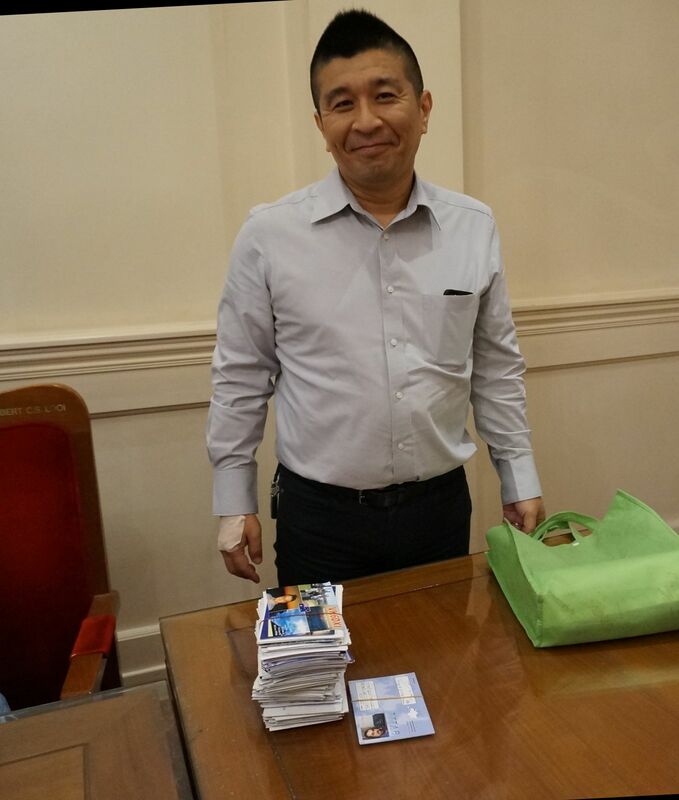 Kurita-san 9V1XX, our outgoing QSL manager with his stack of received QSLs. nice to hear him again. We all enjoyed the camaraderie and many hams stayed back to eyeball after the talk.